I understand that this a part of human nature and especially as business owners (or potential online and offline) we always need to think about practicality and what the “cost of cheap” is! Especially in an economy that is unforgiving of mistakes, that one or two poor business decisions can put you in the poor house. But your cheapness IS DESTROYING your business. 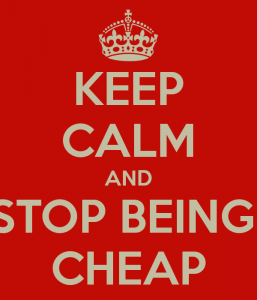 Now, before I go into detail about why you should not be trying to find the “cheapest hosting, cheapest domains, cheapest seo services, and maybe even a free or cheap website builder, I am going to say that I myself have been the victim of “going the cheapest route”. However the object of my communications, history and experiences here on this website is so that you don’t delude yourself and waste time, money and overall resources like I did whence I was in the market for trying such “cheap stunts”. The bottom line is that it does not work for me, it will not work for you, and “being the cheapest” about everything in regards to your business will hurt it, if not destroy it at times. However, it’s not to be said that all average or higher ticket products or services are a landslide better, however they are far and few between. And the old adage that is “you get what you pay for” rings true a good 90% of the time. And the other 10% is a trial and error (if you can afford it) and usually that’s why I am here so you can read my reviews on the products & services. So let’s get started with a some thought concepts you should change based on “the cheapest” mindset. This could be one of the greatest evils that you can do. Getting the best and cheapest website hosting. Now I am not saying to go out and get yourself a 3 dedicated machine cabinet in a 24 hour manned collocation center, but moreover to think about the application and business you are trying to build both online and off. I have used my fair share of cheap webhosts before getting our own machines and local website hosting services that we can call our own that I have immense confidence in that I use for our clients and services. (If you want to checkout some of our website hosting reviews click here). But really why would you want to put your respectable home in the middle of what could be considered a “bad neighborhood” with an “absentee landlord” that doesn’t take care of the house to even a “lockdown hosting” situation that I’ve run into before. I will explain my analogies to each below. 1 – Your “free webhost” like 000webhost (that I’ve used for a whole 2 hours) and others like them, are basing their business model on the game of numbers. Thousands of people will “try it for free” but guess what, it doesn’t work! That’s right, the first and only time I tried setting up a simple 4 page website on a free website host with no database and just FTP access, it plain out did not work. I couldn’t even effectively load their backend “custom cpanel” and nothing was able to be uploaded or even configured. 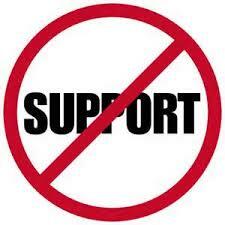 Then they automatically give you the “paid upgrades” for support and help but I know what I am doing here. It just doesn’t work. Period! Not only that, but others have had horror stories of their websites and website files “just disappearing”. Backups you say? Well, I hope you have a valid one, otherwise you can say goodbye to your content forever as it washes into the digital sea. The takeaway here is YOU SHOULDN’T USE FREE WEBHOSTING. I mean what did you expect? How can a company (or an person for that matter) offer you a viable service with all the bells and whistles for free? The answer is that they can’t. It’s a marketing tactic, that in the long run you will just pay. But I can guarantee you’ll be paying much more in the long run when your site goes down (that’s if you even get it up of course). 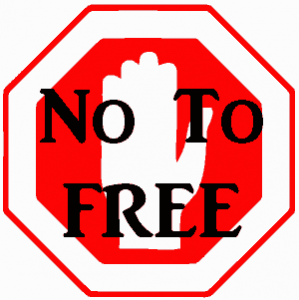 So free webhosting is not for me, and it should not be for you either if you are serious about your business. 2– The “cheap hosting” solution. Now, this is not as bad as free, but obviously comes in a close second to the “why are you hurting your business attitude”. The reason being here is if you are paying a very small amount of money to host your website, that’s because you are more than likely being hosted on a machine that is considered a “shared environment” or “cheap shared hosting”. Again, not as bad as the free, because companies that actually charge something are usually setup with some type of service in place and want to give you something for your money. But really, how much are they giving you? Should You Be Using Really Cheap Hosting? – You are restricted to a certain amount of everything. From bandwidth to traffic from the same IP address. In fact, I have been blocked from my own websites when trying to update and modify them, because the “cheap hosting” was configured for so many hosting accounts, that in order to regulate traffic on their servers, they blocked my computer’s IP address. And I was using an FTP to access the site in which I had my own user account and password! I literally had to email their customer service and wait hours before I could do my changes. And this has happened numerous times. And I know what you are thinking, why don’t you just ask them to “whitelist your IP”? Well folks, I did request that. But they said “well you are on our cheap hosting”, “we can’t do that for you”. They basically telling me that I was being a cheapo, and they were going to give me a cheap host product with a cheap host service. Cheaply. Period! Can you imagine being interrupted during a workflow and taking hours to make changes to your website all because you were locked out of your own site? But hey, they have to keep the costs down to make you happy, right?! 3 – And last but not least, we have the “old cheap web hosting switcheroo” It’s not entirely bait and switch. But it certainly feels like it when they are giving you an opening month discount on your cheap web hosting, only to find out that you are on an old machine that goes down more than your baby’s dirty diaper. It can barely host your website, and when you notice the site is down you email their customer service to see “why your cheap website went down” and they check and it’s back up. Mainly they gave you the “old servers” that they are trying to clear house on, and by giving you such a “good price” for your hosting, it seems like a deal. But the machines aren’t new, they aren’t maintained, and when you need your site up the most, you will be in for a rude awakening when you think you are crazy because your site was not loading, and then they tell you “it’s back up” with no reason on why it happened. Because the service provider is not going to go into fine detail about your problem because you are paying them almost nothing, and they only time they will ever look into the machine, is when there are 50 to 100 other website owners asking the same question on the same day or the same hour. Otherwise you are stuck with your ghost site, and there is nothing you can do! So, the message here is …. 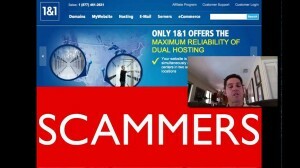 Don’t Use a Cheap or Free Web Host! Now, I am a domainer. It’s of course a self proclaimed title I know, and I know it’s frowned upon. But because I am an online marketer and business developer it goes hand in hand. I could understand it would be whatever if I was a tax accountant or something, but this is something that is synonymous with my line of work, and it’s something I need to do. However back to the “cheap domain registration” thing! Now again, this is more “live and learn” experience here. I had the company 1&1 internet, or 1&1 domain registration do a good amount or domain registrations for fairly cheap for me a few years ago. Off the top of my head, the domains were less than $10 and at the time, that was an excellent domain deal. Especially with some of domains expiring soon, I decided to take well over 100 domains to them. Boy was that a BIG MISTAKE! You are probably wondering, how can a cheap domain registration be something that can screw up and hurt my business? Well, it can when 1 & 1 domains decides to do shady and underhanded registrations in your name. And then send you a collection bill for a few thousand dollars. You are probably still confused, right? Buying the “cheapest domain” from a company is definitely not your best option. 1: It’s only cheap for the 1st year, and it sky rockets to “regular non promotional registration price”. So if you want to renew the next year, you’ll be paying almost double. And no amount of negotiation with management will help you (good luck even trying to get in touch with management) So in actuality you’ll be paying regular price for your domains, but just not for the first year. 2: Now this could probably be the worst thing any domain registrar has ever done. So if you have a “domain about to expire” most domain registration companies will just “send you a 15 day warning” that the domain is about to expire. And then will usually send another one 7 days later, and then another notification that “the domain expired” and you should register it now, before the “domain goes to redemption” (something we will talk about another day). But why would 1 & 1 want to register domains like the rest of the planet, when they can offer you the “cheapest domain registration” and then bag you for it later? Here’s what 1 & 1 domains does with your domains. Right before your domain registration expires. They Automatically Renew your “Cheap Domain” in their name! That’s right ! They re-new the domain registration in their company information. But wait, that’s not all. If that wasn’t the worst underhanded scenario ever, it gets better. 1 and 1 domain cheap domain registration will “put it on your domain credit tab”. So if you just wanted the “domain to fall off”, they automatically re-register the domain in their name, and then they bill you out, and send all your domain renewals with them to collection! So one day when I was logging into my 1 and 1 domain account, all my domains were locked. Even the ones that were not expired! I couldn’t control my domains at all. I couldn’t even renew the domains if I wanted to. Because again, they sent me off to collections with a domain registration in their name! 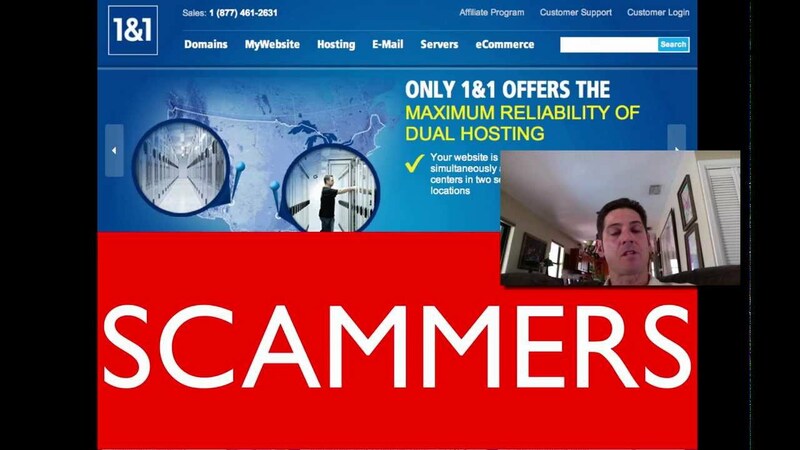 I decided I wanted to get to the bottom of the “1 & 1 internet domain scam” So I called the “domain collection company” and told me that I had to pay full price for all the domains and $20 collection fee on each one! WOW. So much for cheap domains, huh? If I wanted to clear my good name and my credit, I would be paying more than $40 each for my domain! Which is domain prices circa 1998. Sounds pretty cheap to me…lol. So after speaking with “a domain collections manager” they worked out a discount for all my domains that had expired. Even though I didn’t even want some of them anymore. But remember, I can’t even delegate my existing good standing domains, until I paid the account! So I was screwed either way. Laughable at the “cheapest domains” search I was doing at the time to find this forsaken service company. And to add insult to injury, once I paid for this company to re-register in their name and send me to collections, I still had to wait 48 hours for someone in management to “unlock my account”. 3: The third “cheapest domains” registration issue is not as severe as the problems and issues that I had with 1&1 but it’s still a pain nonetheless. Basically some “cheap domain registrars” will give you a basic domain registration with no ability to “redirect or point the domain” or “DNS” to anywhere else without an “upgraded domain purchase”. Therefore essentially what happens is that you purchased a domain name, and it’s just sitting in a sort of “domain bank” with nowhere to go. You can’t send it anywhere, you can’t place it or park it using your own tools or services. Though, they will do something for you. They will be more than happy to “park your domain” on their shiny servers and place nice PPC/CPC advertisements that are keyword related to the domain you just registered with them! Isn’t that swell of them? Ok, so there is a fine line here. Because there is alot here to discuss. Though I’ve broken this up to several pieces that I will be writing about free website builders, or perhaps “cheap website builders”. Now that’s it not to say that there aren’t some good “free website builders” or cheap solutions to create your ideal website or e-commerce website product. 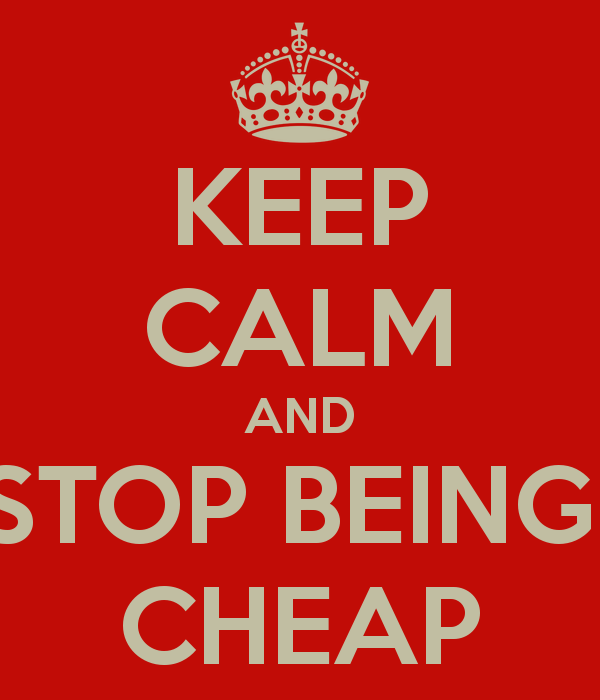 Though I will reiterate this again, the “cheap can and will be expensive” in the long run. Mainly because from a development perspective the choice on a cheap or free website template builder will effect everything from on-site SEO, design, user interface and useability all the way down to being able to effectively make updates to your sites the way you want to! 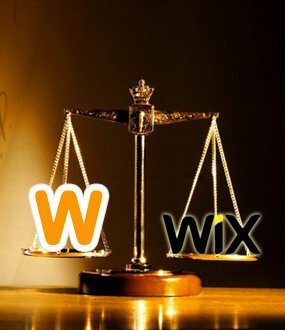 For instance I wrote a review about if Wix is good for SEO or ecommerce, as well as some other “free template and site builder tools” that you think will help your business online. So without further hesitation let’s talk about free or cheap website builder tools. 1: Cheap or Free Website building Tools whether it be from Wix, Weebly sitebuilder, or Godaddy site building tools, they all have their own issues. Will you be able to put up a website with these free tools that are “included with your hosting”? Well, yes. You will be able to build a website with these tools and templates. The question here isn’t whether or not you’ll be able to build a site. Moreover whether or not the site you build with have an SEO value, will engage people or “web visitors” and cannot be grown upon or “scale-able” to the needs of your potential business. Now remember, the site builder or website platform you use is equivalent to you buying a piece of empty property and then laying down the first foundation level. Meaning that if you lay the foundation wrong or haphazardly put it together, you can expect within a few years to be doing some very costly repairs. Or perhaps totally unable to make sitewide improvements both visually and “coding wise” that you want with ease to stay up to web standards. All because you decided that you wanted to “use the cheap or free website builder”. So now your site can’t be upgraded or updated the way you want. There are a ton of design and core code reasons you would want to steer away from the “low hanging fruit” of free website templates and site builders. Again, if you do not have much to work with capital wise, or just want to “got it alone” then these tools are at hand to help you. But I stress with strong caution…Do Not Become Invested in them! Do what you have to do to get online, and then get expert training, and migrate over sooner than later. As overall these tools are not globally supported, are many times “proprietary or closed source” and offer no “open source” way to continue building without an immense overhaul. 2: I would say the other most important reason not to build your website on free website providers like Weebly, Wix or Godaddy is because at any given moment they can discontinue support for these products. These products were basically built “as a customer bonus” as a suggestive or bonus sell for you to join them with other services. With that being said, if you reference my previous reason, you’ll see that “lack of opensource” ability in these free website builders from Godaddy, Wix and Weebly. These companies do not let you modify core code at all, and you will be subject doing things how they do them (think of an old landlord in her late 70s that doesn’t want you to have a party and living by all her rules). Again, you’re going to have a heck of a time trying to grow your business online with that mindset. So again, if you have no choice and budget absolutely restricts it, then it’s something. But really, don’t build your website on these platforms if you are looking to attract serious business. I am going to give a huge laugh out loud right now (you actually may be able to hear me)! 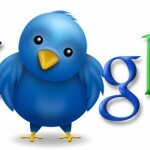 Need cheap SEO Services? That is like Saying, you like to flush your money down the drain. 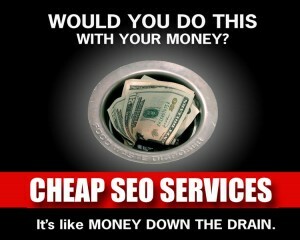 Cheap SEO services are not good services. So are there cheap SEO services? Well, the answer is yes. 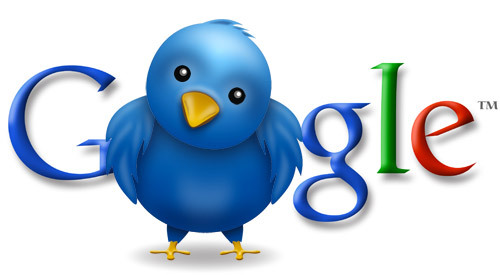 Of course there are cheap search optimization services and companies that want your business. Are they good SEO services? Any real deal SEO or online marketing professionals out there will agree with me, that the best seo services done by result driven SEO or digital marketing companies require a good amount of time and energy to effectively provide proven growth for the potential business or client looking to raise their awareness online. 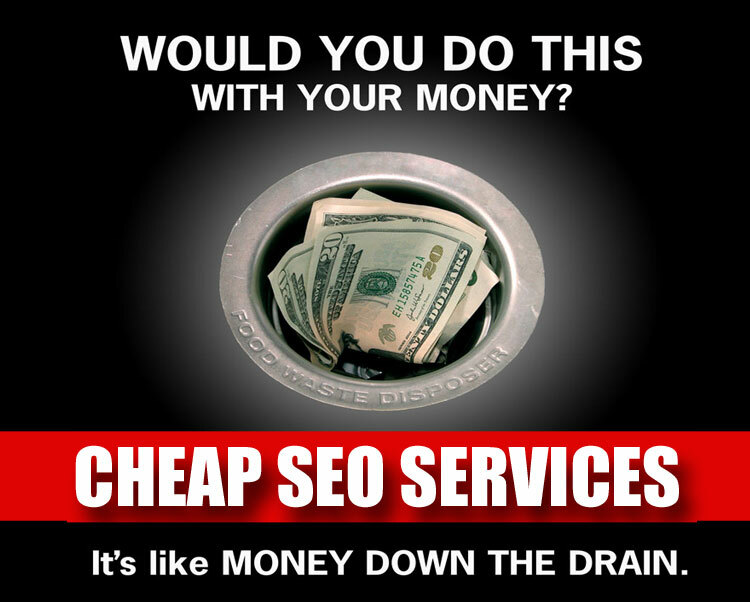 So why would a “cheap SEO service” put all the time and attention to detail on your account when they are doing it for substantially less than anyone out there? If they are in America, then most likely they are not doing the right things to make that growth happen. Mainly because they are being compensated at a rate that doesn’t make sense for them to put all the required energy behind properly optimizing and promoting your website. And for those that “outsource cheap SEO services” you’ve probably already received that rude awakening from our out of country friends. On a previous piece, I talk about whether out of country SEO companies are worth it? So I’ll let you read that and ponder about whether it’s costing your business more money in the long run. 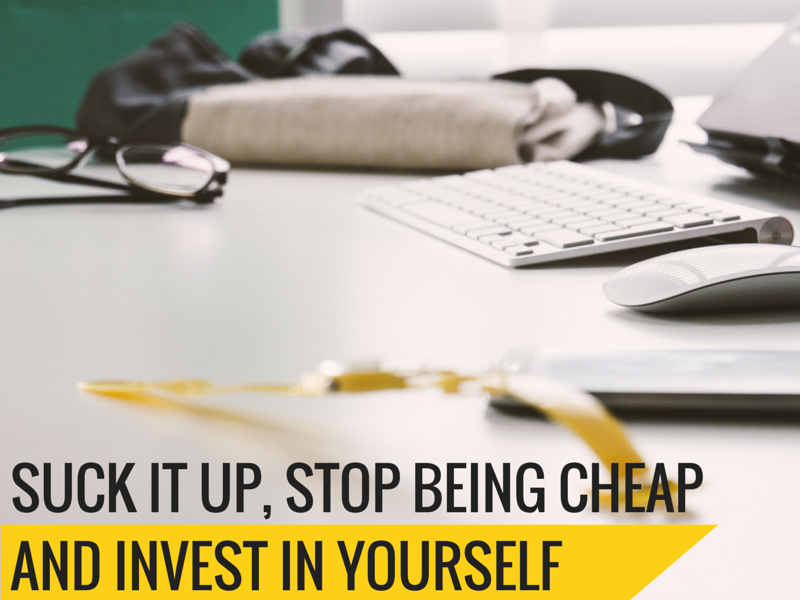 Not spending money on worthwhile needed aspects to your business can and will hold you back. Are you ready to stop destroying your business with the cheapest services you can find? Are you ready to take your business seriously and put an adequate amount of money behind your ideas and effort? If this post has told you anything, it should be one thing that should ring true moving forward with your business both online and off. Is that the Cheap is Expensive. 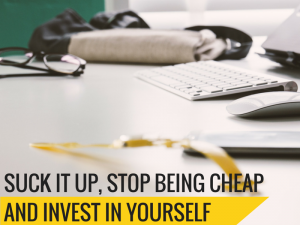 Are Your Cheap Ways Hurting Your Online Potential?